Your "Go To" Eye Kit! Shadow and liner in one sleek, portable mechanical pencil. Creamy formulas contain skin-conditioning ingredients to help eye area look smooth and more youthful. Richly pigmented shades glide on with no tugging or pulling. Color lasts with no creasing, smudging or fading. Complementing shadow/liner combos are always flattering. Colors blend easily and are buildable and can be layered and blended to create custom combinations. Eye Shadow: C12-15 Alkyl Ethylhexanoate, Isononyl Isononanoate, Dicaprylyl Ether, Polyethylene, Hydrogenated Polycyclopentadiene, Bis-Stearyl Dimethicone, Trimethylsiloxysilicate, C10-18 Triglycerides, Synthetic Beeswax, Polymethyl Methacrylate, Vinyl Dimethicone/Methicone Silsesquioxane Crosspolymer, Polybutene, Copernicia Cerifera (Carnauba) Wax, Methyl Methacrylate Crosspolymer, Caprylyl Glycol, Tocopheryl Acetate, Tocopherol. May Contain (+/-): Calcium Sodium Borosilicate, Carmine (Ci 75470), Copper Powder (Ci 77400), Ferric Ferrocyanide (Ci 77510), Iron Oxides (Ci 77491, Ci 77499), Mica (Ci 77019), Silica, Synthetic Fluorphlogopite, Titanium Dioxide (Ci 77891). 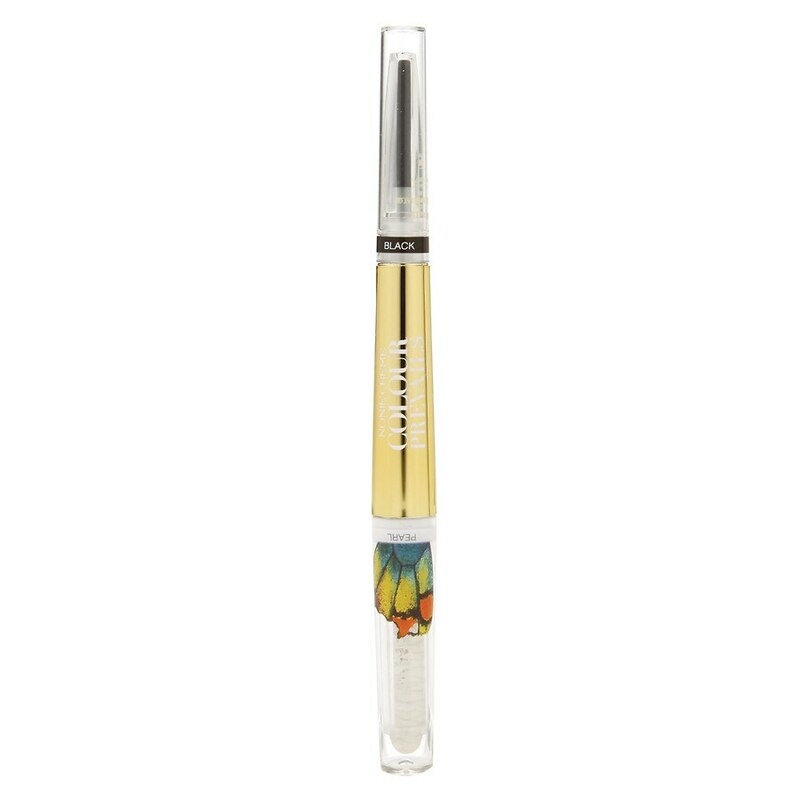 Eye Liner: Butylene Glycol, Water, Propylene Glycol, Glycerin, Sodium Stearate, Phenoxyethanol, Vp/ Va Copolymer, Nylon -12, Hectorite, Ppg-5-Ceteth-20, Allantoin, Ethylhexylglycerin, Tocopheryl Acetate, Aloe Barbadensis Leaf Juice, Hydroxyethylcellulose, Cucumis Sativus (Cucumber) Fruit Extract. May Contain (+/-): Blue 1 Lake (Ci 42090), Carmine (Ci 75470), Bronze Powder (Ci 77400), Chromium Oxide Greens (Ci 77288), Ferric Ferrocyanide (Ci 77510), Iron Oxides (Ci 77492, Ci 77491, Ci 77499), Manganese Violet (Ci 77742), Mica (Ci 77019), Silica, Titanium Dioxide (Ci 77891), Ultramarines (Ci 77007). Draw the Shadow Stick directly onto the eye lid. Blend with fingertip to desired coverage. Next, draw in the crease and intensify the color. Blend lightly with fingertip to create a contour effect. Line the upper and lower lashes with the Liner Stick. Liner can also be used on the water line.